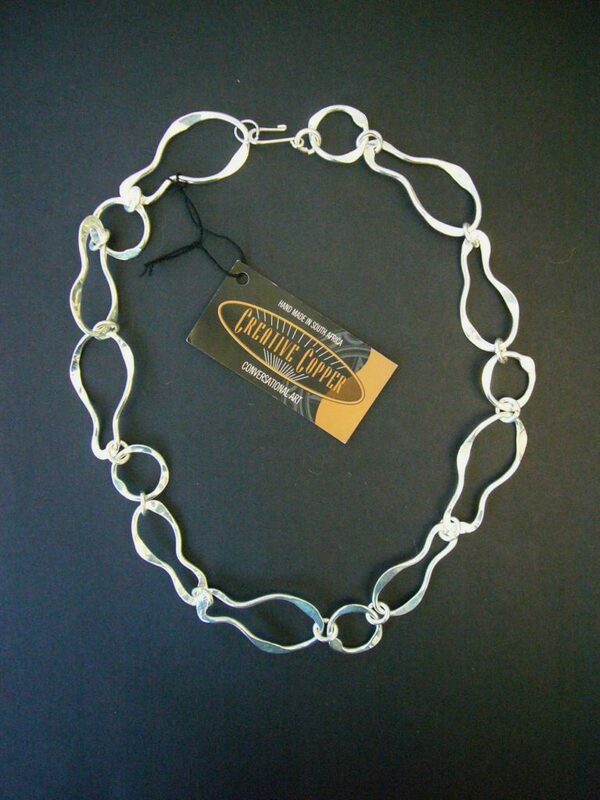 A stunning short silver plate chain necklace, made up of hammered rings and irregular shapes. Approximately 17" length with hook clasp, from the Jumali designers in Mpumalanga, South Africa - the place 'where the sun rises'. A stunning and stylish piece, supplied with signature gift bag.